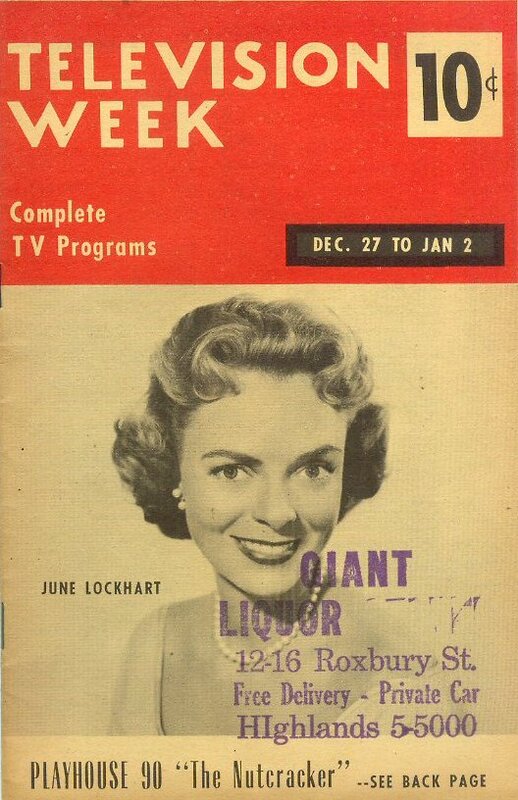 A Vintage Television Week TV Guide. Issued in 1958 for December 27th to January 2nd. This is a New England Edition. It features June Lockhart,(cover) Jack Kelly, Art Linkletter, Kevin Hagen, Lee Marvin, Rory Calhoun and more. It has an ink stamp on the cover, but other than that it is in excellent condition with very light shelf wear. Would make an awesome addition to any collection.